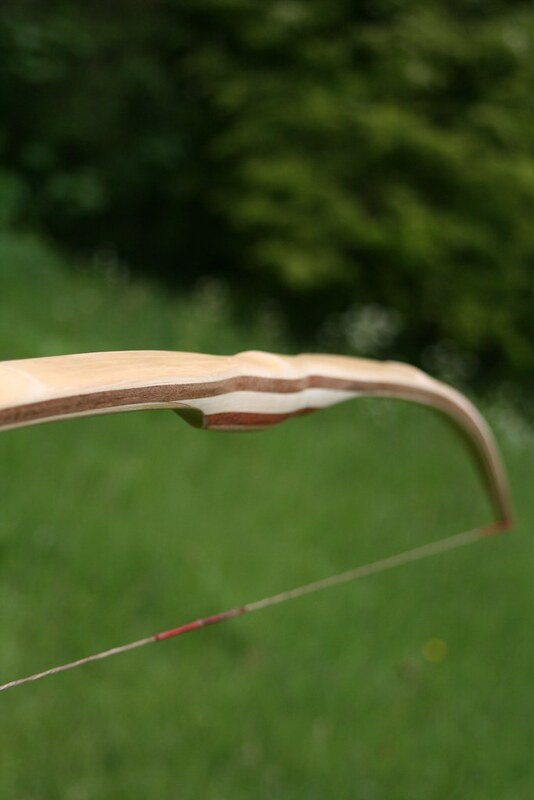 This bow started as a “normal” bamboo backed ipe pyramid bow. 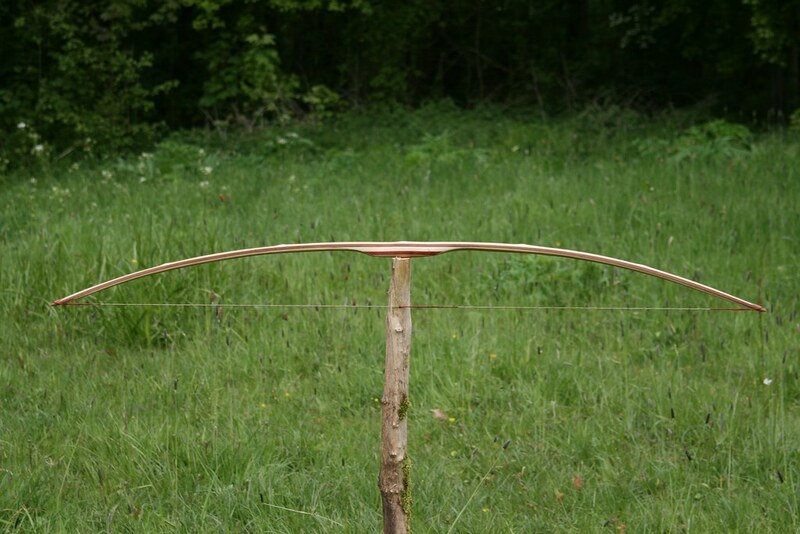 I made it for someone who wanted a light bow for target shooting but when I finished it he suddenly backed out. I never shot it really because it was only 35 pounds or something so it just gathered dust on my bow rack. 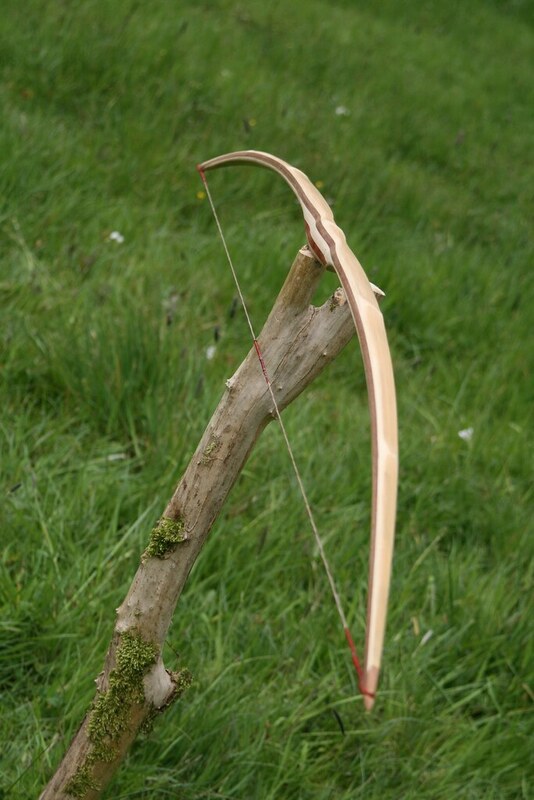 Then I read somewhere that bamboo was a good belly wood also so then I figured it would be nice to try that on an existing bow! 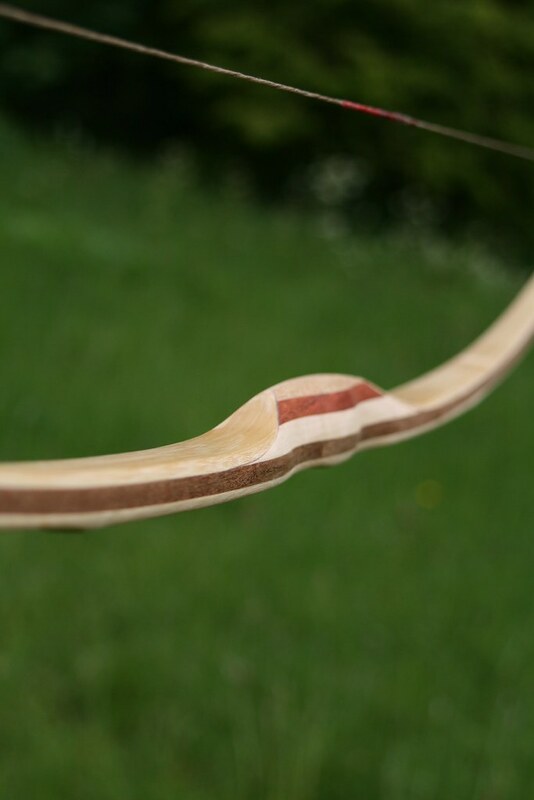 I quickly flattened the ipe belly of the existing pyramid and flattened a piece of bamboo with my draw knife. 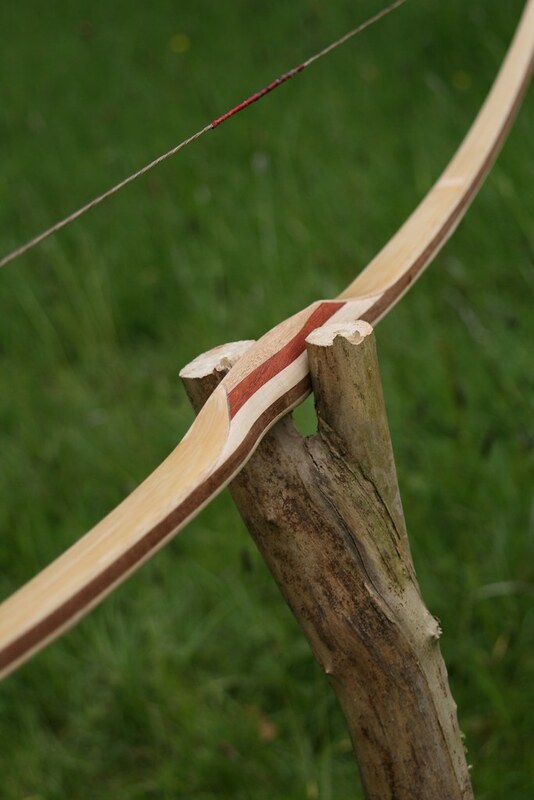 Glued the two pieces of bamboo on with titebond and some clams and sanded the bow smooth the next week. 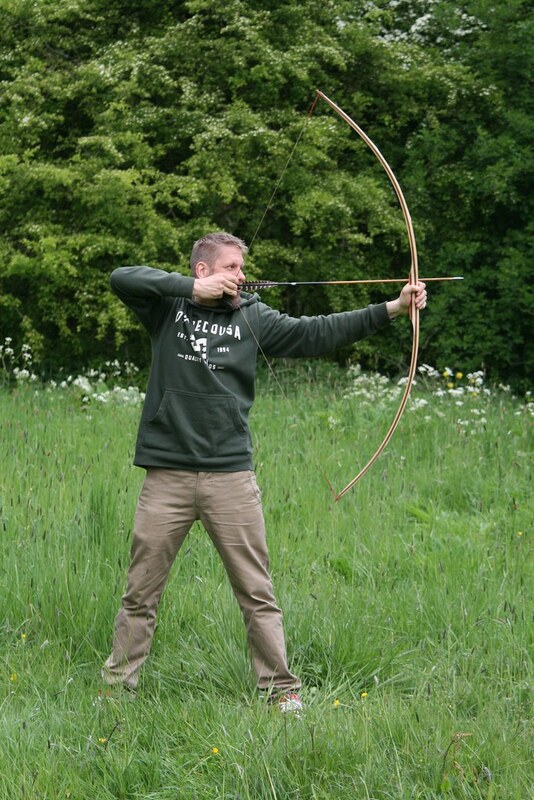 When I first tried to brace the bow I was shocked! It had gained so much draw weight that I could not get it to bend! This was a problem because you can’t really scrape much of the bamboo belly oops! 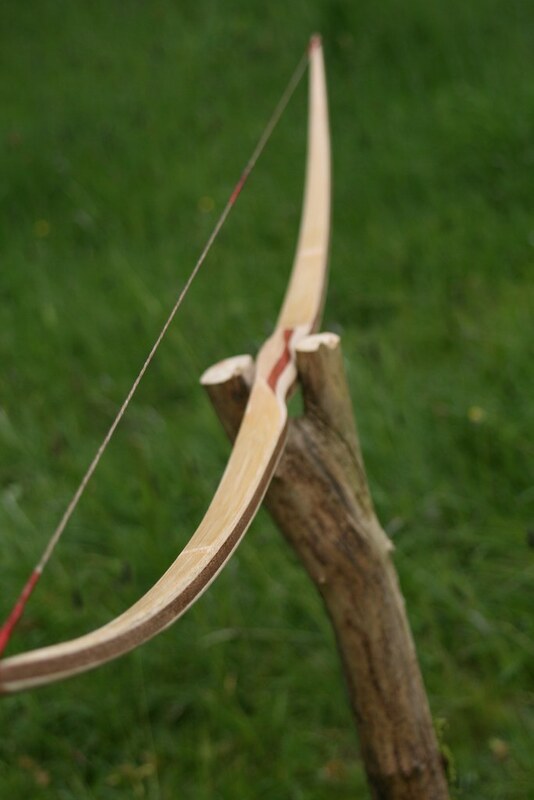 I decided to narrow the bow as much as possible to reduce the weight and aso trapped the back to lose some more weight.